Happy SysAdmin Day from ManageEngine! Patch Connect Plus now allows you to view the deployment status of published patches. ServiceDesk Plus now automatically receives tickets from Log360. Free report on the 5 key IT trends and challenges of 2017. 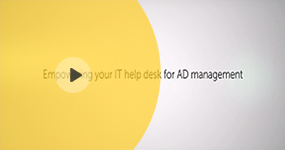 Monitor Microsoft Dynamics AX with Applications Manager. Put an end to endless cyberattacks. Troubleshoot issues on Android devices remotely. O365 Manager Plus introduces password expiration notifications for Office 365 users. ADAudit Plus helps enhance data security for your EMC storage. FileAudit Plus offers comprehensive analysis of access attempts and storage space. Meet ServiceDesk Plus product experts at our NYC User Conference. Easily filter and categorize your alerts using AlarmsOne’s custom views and tags.